Entrepreneurs see a problem, and solve it. This week's three innovators to know are no different. All three have personal stories of realizing there's something not right — and there's something they could do about it. Here are this week's innovators with small businesses and big growth plans. Yared Akalou found the perfect job for himself — only problem was that it was in San Diego. Uninterested in moving his wife and young daughter across the country, he decided to prove to his new employer that he could handle most of the job's responsibilities remotely, while traveling when needed. It wasn't easy, and his user experience-focused mind realized there was a concentration problem when you worked remotely in public spaces. Now, with Alcove, he's created a solution. Alcove is a laptop case that pops up into a workspace that increases focus and privacy. Alcove is available online, but Akalou has lofty goals of partnering with large companies to get Alcove in the hands of consultants, for instance. Entrepreneurs have to have a certain amount of positivity when it comes to all the challenges they face, and Megan Eddings has a surplus of both challenges and positivity. She's fought for years to design the perfect fabric that doesn't hold on to bacteria and sweat smells for a line of athleticwear she's creating. The chemist-turned-medical sales professional is now close to getting her company, Accel Lifestyle, off the ground. When she's not focusing on Accel, she likes to inspire others to follow their passions and take a leap of faith like she did at speaking engagements or on social media. She even inspired her husband, Kyle, to start something of his own too. For years, Josh Feinberg was a broker focusing on The Woodlands when he realized there was a huge need in the commercial real estate sector that brokers weren't able to fill. The equation was just off — there just aren't enough brokers to manage the millions of available square feet of space in major metros. Feinberg created Tenavox with his business partner, Marissa Limsiaco, who is based in Austin. Tenavox is a website where small business owners can find space that fits their needs. Tenavox can benefits both sides of the transaction: entrepreneurs are only shown compatable properties and brokers are only getting tenant leads that are serious contenders. The site also has VoxLink, which is a directory of industry experts — tenant brokers, moving companies, lawyers, etc. Feinberg hopes to expand to 50 metros in the next five years. 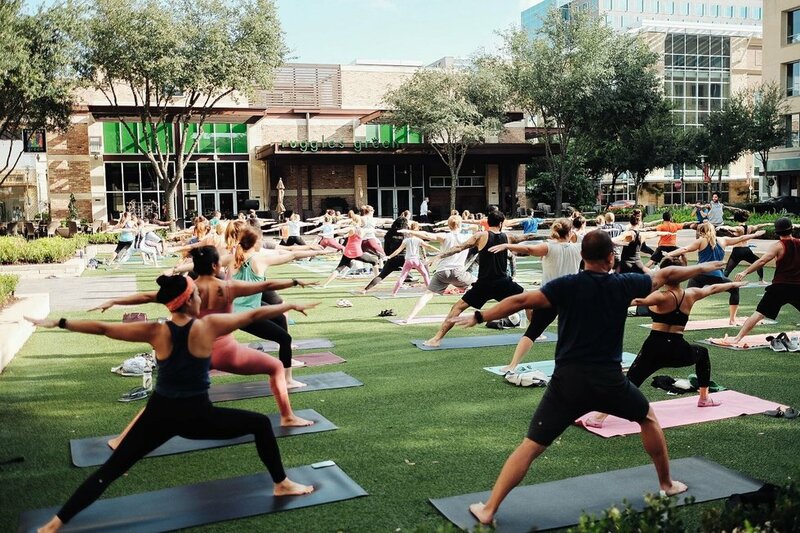 Houston has developed into a city full of boutique fitness studios and updated parks, and now the city is seeing fitness startups popping up as well. From creating a smell-free fabric to engaging NASA technology into training, these Houston fitness startups are working out innovative ideas into the exercise industry. Megan Eddings tried everything to get the stink out of her husband's workout clothes, but nothing worked completely. With her background in chemistry, she knew there was something she could do to create a fabric that didn't hold on to the bacteria that built up in normal fabrics. So, she got to work. Now, years later, she's finally perfected her product and is ready to launch by summer. Eddings says she'll have six different styles of men's and women's shirts to start, and they will be available on the Accel website, which recently got a facelift. Read more about Accel's journey here. 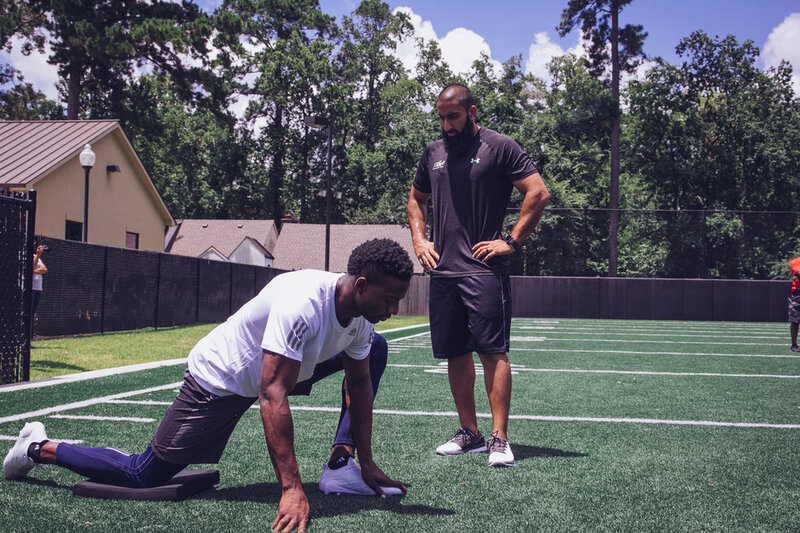 Finding a quality personal training session that fits your schedule and location hasn't really been done before Houston-based Kanthaka launched in 2017. Founder Sylvia Kampshoff wanted something that allowed her to exercise with someone on her own schedule, and with people who valued customer service. The app uses location technology similar to that of ride sharing apps to allow users to book training sessions with certified personal trainers, all of whom are heavily vetted and background checked by Kampshoff and her team. "Many trainers at gyms or who work privately aren't certified," she says. "And that was important to me, that we have professionals who understand training and the body. And making sure our clients felt safe was a huge priority for me. We interview every trainer personally to ensure they not only meet our standards but also share our goals." Since launch, Kanthaka has expanded to Austin and is expanding to San Antonio in April and Atlanta in May. The company has secured angel investment and has seen a month over month growth of 10 to 50 percent since the end of 2018. Read more about Kanthaka here. What would you get if you crossed a dating app with an event planner focused on creating friendships around fitness? Houston-based Muvve. The app, which was created by Avi Ravishankar and Julian Se, came from the idea that working out, training for a marathon, or just staying active is way better with a buddy. "Intrinsic motivation is hard to find, especially in individual sports, like running, cycling, or yoga," Ravishankar says. "Whereas, in team sports, like basketball or volleyball, you have the team to train with and motivate you." The app, which launched in May of 2018, acts like a network for fitness lovers — just like a dating app would connect potential romantic partners. Dating apps, actually, were a big influence on Ravishankar, he says. "I fell in love with dating apps. It was this mind-blowing idea for me of how many people you can connect with — even if it's not for dating," he says. "The amount of people I have met just through technology always blows my mind. There's so much power in it." Ravishankar plans on growing the app's user base to 10,000 users by summer. Read more about Muvve here. Sutaria Training & Fitness LLC, a Houston-based personal training company, has a new partnership with NASA that aims to provide exclusive access to astronaut training equipment to clients. Jay Sutaria, founder and lead trainer, says that the equipment at NASA, called the force plate, shows how much power a client's body is producing in specific areas and how that power drops over time. The data produced by these machines can help trainers customize and tweak workouts for each client to take training a step further. Sutaria and his partners at NASA recently tested the equipment with the Chinese olympic boxing team to see how it can be applied to workouts at NASA's location in Clear Lake. "It's exclusive access to the equipment that is not available openly in Houston," says Sutaria. "NASA is a reference for us to become better trainers." Click here to read more about ST&F.